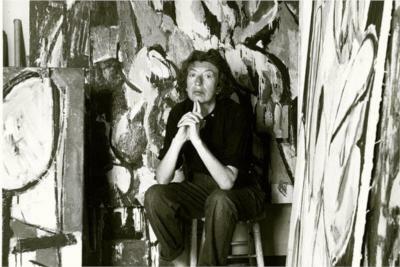 Lee Krasner was an influential American abstract expressionist painter in the second half of the 20th century. 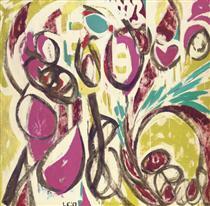 On October 25, 1945, she married artist Jackson Pollock, who was also influential in the abstract expressionism movement. 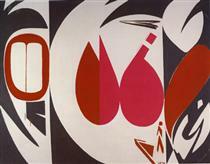 Krasner was born as Lena Krassner (outside the family she was known as Lenore Krasner) in Brooklyn, New York to Russian Jewish immigrant parents from Bessarabia. 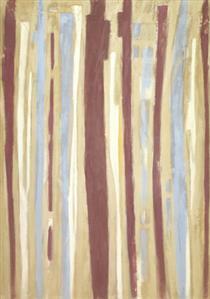 She studied at The Cooper Union and the National Academy of Design, and worked on the WPA Federal Art Project from 1935 to 1943. 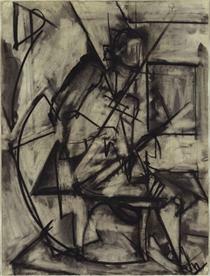 Starting in 1937, she took classes with Hans Hofmann, who taught the principles of cubism, and his influence helped to direct Krasner's work toward neo-cubist abstraction. 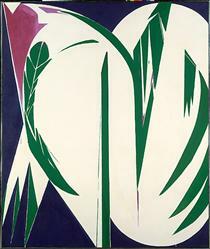 When commenting on her work, Hofmann stated, "This is so good you would not know it was painted by a woman." 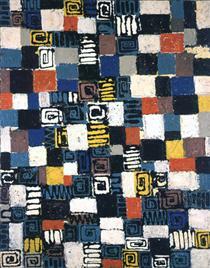 In 1940, she started showing her works with the American Abstract Artists, a group of American painters. 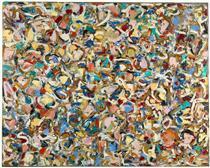 Krasner would often cut apart her own drawings and paintings to create collages and, at times, revised or discarded an entire series. 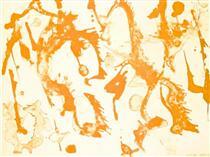 As a result, her surviving body of work is relatively small. 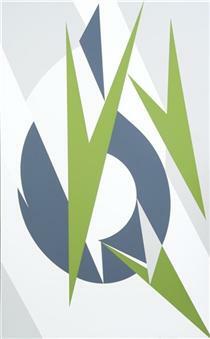 Her catalogue raisonné, published in 1995 by Abrams, lists only 599 known pieces. 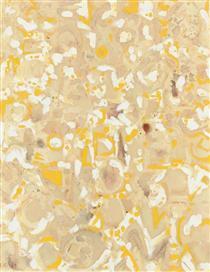 She was rigorously self-critical, and her critical eye is believed to have been important to Pollock's work. 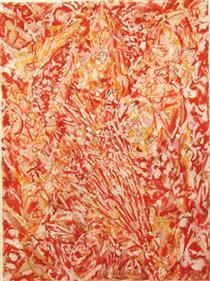 Krasner struggled with the public's reception of her identity, both as a woman and as the wife of Pollock. 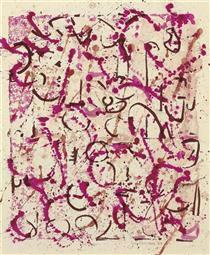 Therefore she often signed her works with the genderless initials "L.K." instead of her more recognizable full name. 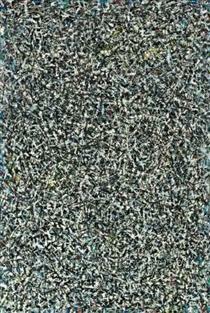 Krasner and Pollock gave each other reassurance and support during a period when neither's work was well-appreciated. 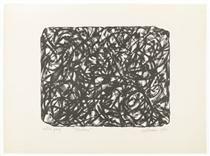 Like Picasso during the brief period of his interaction with Braque, the daily give-and-take of Pollock and Krasner stimulated both artists. 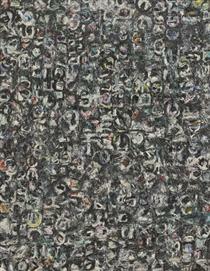 Pollock and Krasner fought a battle for legitimacy, impulsiveness and individual expression. They opposed an old-fashioned, conformist, and repressed culture unreceptive to these values, which was put off by the intricacy of Modernism in general.